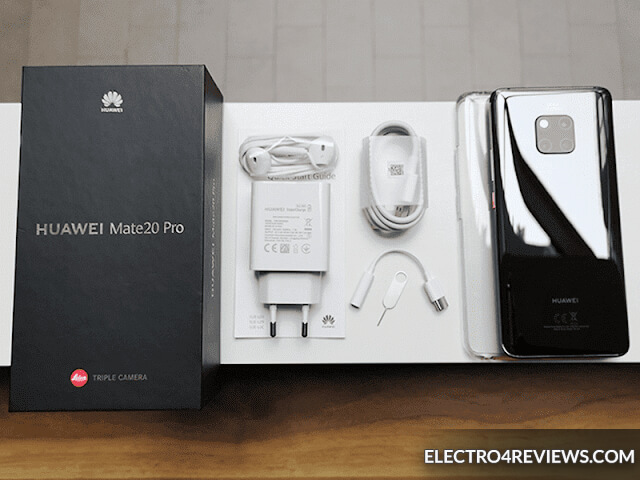 After Huawei's remarkable development and modernization of the P20 series,huawei technologies especially the P20 Pro, the best camera in a smartphone in 2018, and now announced its new phone in the series of Mate to be Huawei Mate 20 Pro new phone in late 2018 to be as early as 2019. As in the previous version, where the Mate 20 Pro comes with three cameras such as the P20 Pro, but the huawei official company has dispensed with black and white camera imaging and has supported the ultrawide imaging instead of the wide with the latest processor of the new Huawei Kirin 980 , The first Android phone that uses a 7nm processor to be more efficient In terms of power and performance such as the Snapdragon 845 processor, which was manufactured at 10nm. The Huawei Mate 20 Pro is the only improvement in the battery life. The P20 Pro is Huawei's first curved-screen phone, the built-in fingerprint reader with the latest operating system Android 9 Pie with the latest EMUI 9 interface. With curved edges on the front and back, we mentioned the phone while using the Samsung Galaxy S9 Plus, with IP68 as dust resistant and waterproof. The phone supports Face ID, which works with the same phone technology as iPhone Xs and Xs Max via infrared Front with the front cameras, and the Mate 20 Pro unlocks the phone quickly, in all kinds of lighting where we tested the phone in the dark too. we found it works fine, but unfortunately will not find the 3.5 mm headset port and can not increase the private space To the phone using the MicroSD, MicroSD card because of its support for memory cards Please let us know the rest of the specifications of the huawei phone in detail and what are the most important advantages and disadvantages, whether it is worth buying and what are the most important developments in the huawei phones compared to the previous phone Huawei Mate 10 Pro. ● The huawei phones supports two SIM-SIM connections. ● Both segments support 4G networks. ● huawei mate It comes in dimensions of 157.8 x 72.3 x 8.6 mm and about weight comes 189 grams. ● Glass design of front and back with metal frame. ● The huawei pro AMOLED screen comes in 6.39 inches to be the first curved screen in the Mate series. It is comparable to the size of the Galaxy Note 9 screen. ● The screen comes with QHD + quality 1440 x 3120 pixels at 538 pixels to be better than pixel density in my iPhone XS Max and Note 9. ● Comes with the HiSilicon Kirin 980 processor and supports the artificial intelligence processor is the same mobile processor Huawei Mate 20 pro and this processor with 7-nanometer technology, very saving in battery consumption. ● performance and a 178% better power supply than the previous processor. 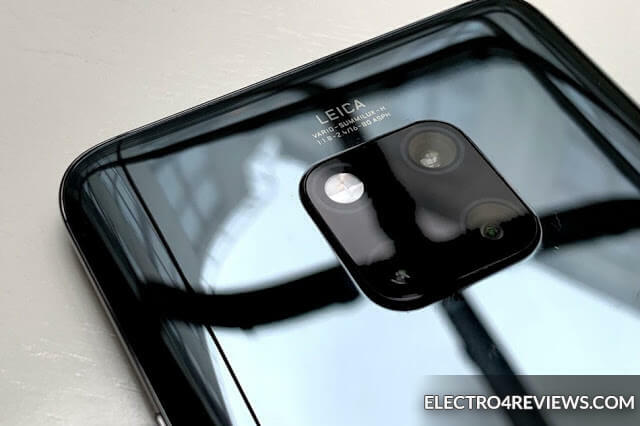 ● The mate rear camera comes with a Leica optics trio camera, the first with 40 megapixels, the basic with a f / 1.8 lens slot, the second wide camera camera, the f / 2.2 lens slot at 20 megapixels, and the third camera for 5x zoom with an 8 megapixel f / Two-way LEED and mate cameras support better HDR and autofocus with optical OIS. ● huawei mate Supports 4x video resolution at 2160 pixels with 30 frames per second, supports 1080 and 1080 with 60 and 30 frames per second and supports HD 720 pixels at 960 frames per second. ● The huawei mate front camera comes with a 24 megapixel mono camera with a f / 2.0 lens slot with HDR support. ● Supports Wi-Fi, Bluetooth and GPS. ● Supports fingerprint sensors and comes built-in screen, also supports fingerprint via special sensor, accelerometer, gyroscope, atmospheric pressure, proximity, compass. ● The huawei USB Type C 3.1 port comes with OTG support. ● The huawei battery has been increased to 4200mAh instead of the 4000MA Mate 10 Pro battery. ● The huawei battery supports 40W high-speed charging and 70% is shipped in just half an hour. ● huawei Supports secondary microphone to prevent noise from speaking by phone or video recording. 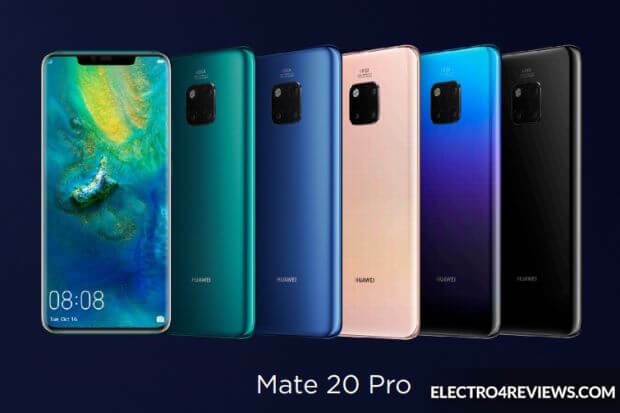 ● The Mate 20 Pro first version comes with a 128 GB hard memory and 6 GB of random memory. ● The Mate 20 Pro second version comes with a 256 GB hard memory and 8 GB of random memory. ● You can also increase the space for the first time in the Mate Pro series by installing the external memory card of the Nano Memory card and place it in the second slide. ● Comes with Android 9.0 Pie with Huawei's latest EMUI 9 interface. 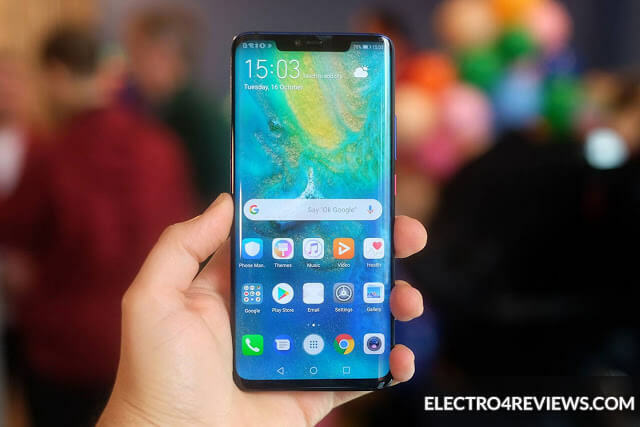 ● The Mate 20 Pro sound of the external speakers comes with a stereo sound and comes down. The headset is built into the USB port and the headset also works with it as an external speaker. ● The Mate 20 Pro phone is waterproof and dusty IP68 up to 2.5 meters, but the company officially announced the availability of a pod dedicated to diving and sold separately and makes the ✩phone works up to 5 meters. ● The three-way rear cameras do not look like a beautiful box. ● There is no 3.5 port for traditional headphones, although it is quality in competing phones such as Note 9 and Mate 20. ● The EMUI interface still needs to be updated more to fit better with the Android Pie. ● The price of the NM card is expected to be higher than that of the standard Mimori. After the advantages of artificial intelligence Ai may not need such as the recognition of calories in eating and others. ● You can not use both slides and a Memory Card card at a time when the card is placed in the second slide. ● Because the external speakers are built into the USB because of its waterproof access, you will find that while charging the phone through the USB port you will find that the volume has become slightly lower. ● The battery has become fast and wireless charging support together. ● Supports opening the phone lock via the face in 3D. ● The camera supports digital zoom up to 10 times with excellent quality. ● In half an hour you can charge your phone battery for nearly 70%. ● Comes with the latest Android Pie operating system right after Google Pixel phones. ● Although the phone comes from the glass, it does not attract much smudges and fingerprints. ● The quality of the phone design is excellent where the phone comes with an acceptable glass design on the front and back with a metal frame. ● The world's first 7-nano smart intelligence processor delivers the most powerful performance and battery savings. ● Leica's new trio camera is excellent performance and know the types of things that are caught, whether food or places .. Etc ..
● The fingerprint is integrated into the screen and works efficiently and at an excellent speed but certainly not as fast as the normal fingerprint sensor. 3D Qmoji feature has been added to the mimoji simulation of the iPhone. 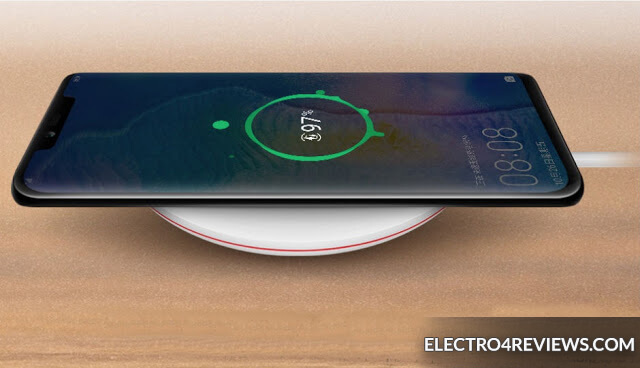 ● Supports wireless charging for other phones via Reverse wireless and you must activate them via the settings first but surely the other phone must be supported for wireless charging. Mobile - Charger head and fast charging support - Earphones - Type C adapter for headphone 3.5 port - USB connection - Transparent bag - Metal pin - Quick start guide manuals. This is a clear reflection of Huawei's ambitious ambition, as the features we have seen today are exceptional and exceptional qualities that are more successful for this company, so that its high price can be justified by considering all the features and capabilities it carries with its powerful equipment. The price of the device is 1049 euros, or about 1217 dollars, which is not at the cheapest price ever. Mate 20 Pro's camera is way way better than Pixel...love the Mate 20 Pro.